Heard of Open Source but don't know how to begin? Wish to work on real projects but don't know where to get started? GirlScipt are here just for you! 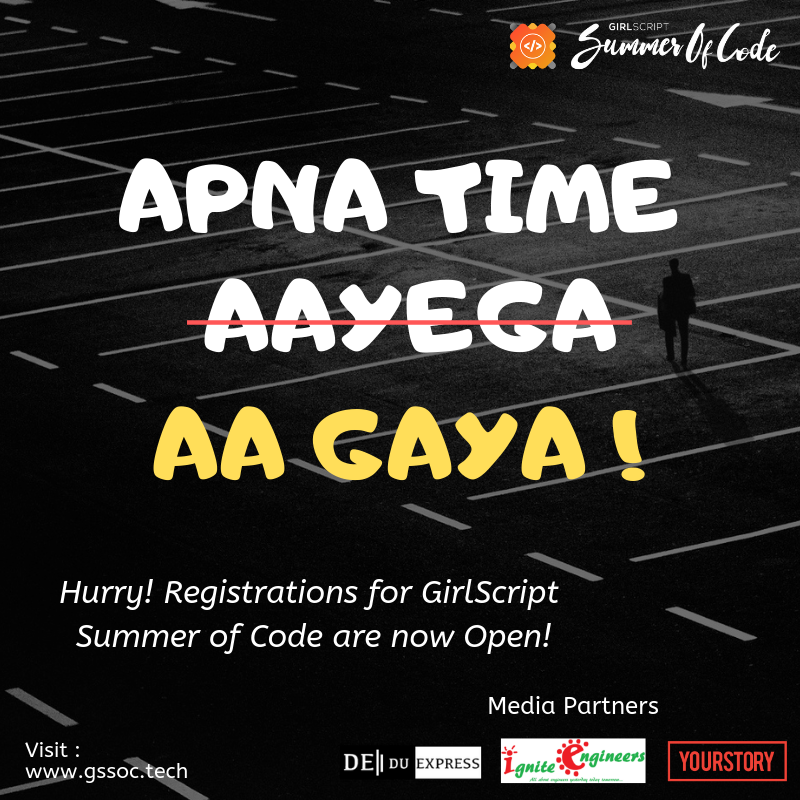 Girlscript Summer Of Code is a 3-month long open source program under Girlscript India. The engaging competition is an endeavor to encourage participation in the open source coding community, a hub to nurture passion and learn and grow with amazing resources and challenges! At the beginning of the competition, the mentors will declare the issues. The participants will be able to comment on the issues, make pull requests for the same and work on them (of whichever project they want). At the end of 3 months, the leaderboards of the mentors will be evaluated, based on which the results will be declared. So, participants, prepare to work hard as you are in for a summer of learning, fun competition and a plethora of great gifts and opportunities if you win! Top performers stand to win amazing internship opportunities along with cool goodies and prizes! Wish to help others get started with Open Source?